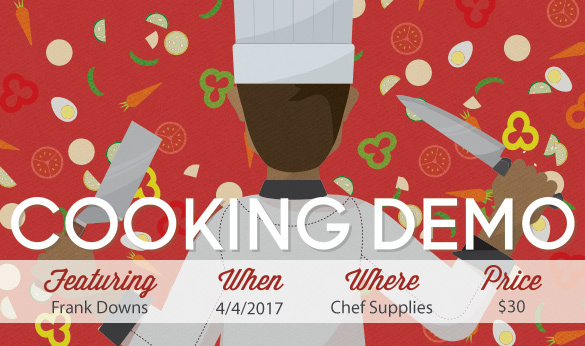 Frank Downs of Buckhorn Inn will be here on April 4 to share some delicious recipes with us! Buckhorn Inn has been a mainstay in the Smoky Mountains resort town of Gatlinburg since 1938, but Downs is never tied down by that history, continually innovating the recipes he uses to keep the menu at Buckhorn new and fresh. Call us at 865-225-1545 to claim your spot today! The Buckhorn version of Pigs in a Blanket with andouille sausage, manchego cheese, jalapeno peppers with Dijon cream.